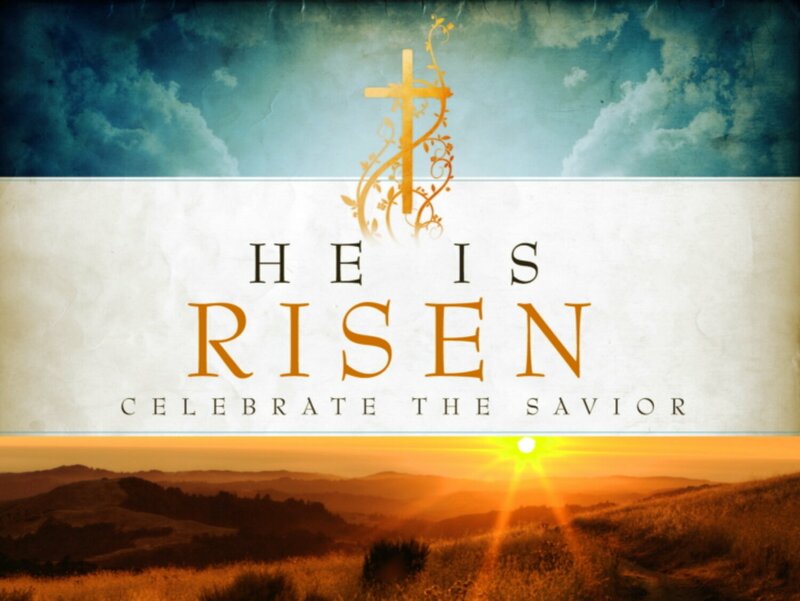 Jesus rose from the dead is one of the core belief of Christianity. without it Christianity doesnt mean anything. The power of Jesus ressurected from the death is the power that give the believer hope that Jesus has victory over sin and death AND hope that we, who believe in what Jesus did on the cross, will also be resurected again after we die here on earth. that we have a future in eternity, with God. 2) Someone stole his body after he died, so He is actually remaining died but his disciple steal and hide his body and say to the world outside that He has arise again. But actually, the evidence (historically and intrinsically) showed the other way around. Jesus did ressurected and was witnessed by more than 500 people in different place that he truelly live again, after he died. and if that is really happen, then everything else that God said would happen regarding the world, regarding humanity is also going to be fullfilled. I pray that your heart will be opened as you read this interesting article from one of my favorite writer John Piper. Jesus Christ is risen! Hallelujah! Jesus spoke openly about what would happen to him: crucifixion and then resurrection from the dead. “The Son of Man must suffer many things and be rejected by the elders and the chief priests and the scribes and be killed, and after three days rise again” (Mark 8:31; see also Matthew 17:22; Luke 9:22). Those who consider the resurrection of Christ unbelievable will probably say that Jesus was deluded or (more likely) that the early church put these statements in his mouth to make him teach the falsehood that they themselves conceived. But those who read the Gospels and come to the considered conviction that the one who speaks so compellingly through these witnesses is not the figment of foolish imagination will be unsatisfied with this effort to explain away Jesus’ own testimony to his resurrection from the dead. This is especially true in view of the fact that the words which predict the resurrection are not only the simple straightforward words quoted above, but also the very oblique and indirect words which are far less likely to be the simple invention of deluded disciples. For example, two separate witnesses testify in two very different ways to Jesus’ statement during his lifetime that if his enemies destroyed the temple (of his body), he would build it again in three days (John 2:19; Mark 14:58; cf. Matthew 26:61). 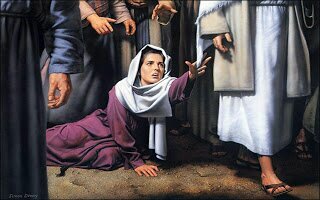 He also spoke illusively of the “sign of Jonah”—three days in the heart of the earth (Matthew 12:39; 16:4). 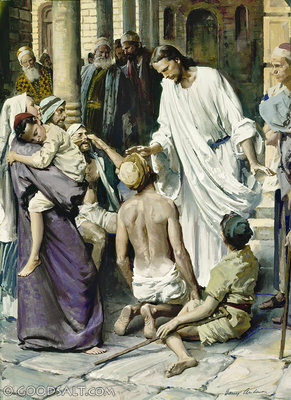 And he hinted at it again in Matthew 21:42—“The very stone which the builders rejected has become the head of the corner.” On top of his own witness to the coming resurrection, his accusers said that this was part of Jesus’ claim: “Sir, we remember how that impostor said, while he was still alive, ‘After three days I will rise’” (Matthew 27:63). The earliest documents claim this: “When they went in they did not find the body of the Lord Jesus” (Luke 24:3). And the enemies of Jesus confirmed it by claiming that the disciples had stolen the body (Matthew 28:13). The dead body of Jesus could not be found. There are four possible ways to account for this. 2.4 God raised Jesus from the dead. This is what he said would happen. It is what the disciples said did happen. But as long as there is a remote possibility of explaining the resurrection naturalistically, modern people say we should not jump to a supernatural explanation. Is this reasonable? I don’t think so. Of course, we don’t want to be gullible. But neither do we want to reject the truth just because it’s strange. We need to be aware that our commitments at this point are much affected by our preferences—either for the state of affairs that would arise from the truth of the resurrection, or for the state of affairs that would arise from the falsehood of the resurrection. If the message of Jesus has opened you to the reality of God and the need of forgiveness, for example, then anti-supernatural dogma might lose its power over your mind. Could it be that this openness is not prejudice for the resurrection, but freedom from prejudice against it? 3. The Disciples Were Almost Immediately Transformed From Men Who Were Hopeless And Fearful After The Crucifixion (Luke 24:21, John 20:19) Into Men Who Were Confident And Bold Witnesses Of The Resurrection (Acts 2:24, 3:15, 4:2). Their explanation of this change was that they had seen the risen Christ and had been authorized to be his witnesses (Acts 2:32). The most popular competing explanation is that their confidence was owing to hallucinations. There are numerous problems with such a notion. The disciples were not gullible, but level-headed skeptics both before and after the resurrection. (Mark 9:32, Luke 24:11, John 20:8-9, 25). Moreover, is the deep and noble teaching of those who witnessed the risen Christ the stuff of which hallucinations are made? What about Paul’s great letter to the Romans? I personally find it hard to think of this giant intellect and deeply transparent soul as deluded or deceptive, and he claimed to have seen the risen Christ. 4. Paul Claimed That Not Only Had He Seen The Risen Christ, But That 500 Others Had Seen Him Also, And Many Were Still Alive When He Made This Public Claim. “Then he appeared to more than five hundred brothers at one time, most of whom are still alive, though some have fallen asleep” (1 Corinthians 15:6). What makes this so relevant is that this was written to Greeks who were skeptical of such claims when many of these witnesses were still alive. So it was a risky claim if it could be disproved by a little firsthand research. 6. The Apostle Paul’s Conversion Supports The Truth Of The Resurrection. He argues to a partially unsympathetic audience in Galatians 1:11-17 that his gospel comes from the risen Jesus Christ, not from men. His argument is that before his Damascus Road experience when he saw the risen Jesus, he was violently opposed to the Christian faith (Acts 9:1). But now, to everyone’s astonishment, he is risking his life for the gospel (Acts 9:24-25). His explanation: The risen Jesus appeared to him and authorized him to spearhead the Gentile mission (Acts 26:15-18). Can we credit such a testimony? This leads to the next argument. How do you credit a witness? How do you decide whether to believe a person’s testimony? The decision to give credence to a person’s testimony is not the same as completing a mathematical equation. The certainty is of a different kind, yet can be just as firm (I trust my wife’s testimony that she is faithful). When a witness is dead, we can base our judgment of him only on the content of his writings and the testimonies of others about him. How do Peter and John and Matthew and Paul stack up? In my judgment (and at this point we can live authentically only by our own judgment—Luke 12:57), these men’s writings do not read like the works of gullible, easily deceived or deceiving men. Their insights into human nature are profound. Their personal commitment is sober and carefully stated. Their teachings are coherent and do not look like the invention of unstable men. The moral and spiritual standard is high. And the lives of these men are totally devoted to the truth and to the honor of God. 8. 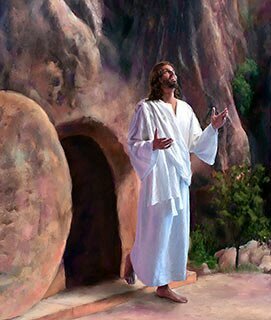 There Is A Self-Authenticating Glory In The Gospel Of Christ’s Death And Resurrection As Narrated By The Biblical Witnesses. The New Testament teaches that God sent the Holy Spirit to glorify Jesus as the Son of God. Jesus said, “When the Spirit of truth comes, he will guide you into all the truth. … He will glorify me” (John 16:13). The Holy Spirit does not do this by telling us that Jesus rose from the dead. He does it by opening our eyes to see the self-authenticating glory of Christ in the narrative of his life and death and resurrection. He enables us to see Jesus as he really was, so that he is irresistibly true and beautiful. The apostle stated the problem of our blindness and the solution like this: “The god of this world has blinded the minds of the unbelievers, to keep them from seeing the light of the gospel of the glory of Christ, who is the image of God. … For God, who said, ‘Let light shine out of darkness,’ has shone in our hearts to give the light of the knowledge of the glory of God in the face of Jesus Christ” (2 Corinthians 4:4, 6). 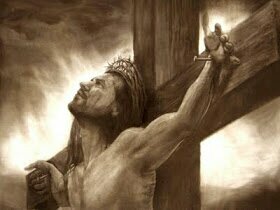 A saving knowledge of Christ crucified and risen is not the mere result of right reasoning about historical facts. It is the result of spiritual illumination to see those facts for what they really are: a revelation of the truth and glory of God in the face of Christ—who is the same yesterday today and forever. “Pada waktu itu seorang perempuan yang sudah dua belas tahun lamanya menderita pendarahan maju mendekati Yesus dari belakang dan menjamah jumbai jubah-Nya. Ketika Tuhan Yesus sedang lewat di suatu jalan dalam pelayanan-Nya, seorang perempuan yang sakit pendarahan 12 tahun menjamah jubah-Nya dan mengalami mujizat kesembuhan. Mengapa perempuan itu dapat mengalami mujizat? Tidak lain karena ia percaya dengan sungguh akan kuasa Tuhan Yesus dan ia tidak membatasi kuasa Tuhan bekerja melalui cara-cara tertentu. Perempuan tersebut memiliki iman yang unik dengan percaya bahwa asalkan ia menjamah jubah Tuhan Yesus saja maka ia akan sembuh. 1. Iman Kita Harus Tertuju Kepada Yesus. Yesus adalah sumber kesembuhan. Ia disebut sebagai Mesias yang diurapi dengan kuasa penyembuhan. Oleh sebab Ia adalah Allah sendiri yang memegang segala kuasa dalam tangan-Nya. Tuhan Yesus berkata: “Aku datang untuk memberikan hidup yang berkelimpahan.” (Yoh. 10:10). 2. Iman harus disertai tindakan. Perempuan itu tidak mau melewatkan kesempatan yang sangat berharga meskipun ia harus berusaha sekuat tenaganya untuk menjamah jubah Yesus. Langkah imannya adalah ia bertindak bergerak menuju kepada Yesus dan menjamah-Nya. Kuasa Tuhan tidak terbatas. Seringkali iman kitalah yang terbatas. Seorang perwira Romawi dipuji imannya oleh Tuhan Yesus karena ia hanya meminta Tuhan Yesus berkata sepatah kata saja maka pembantunya akan sembuh, dan mujizat itupun terjadi. Kalau saudara sakit, percayalah bahwa di tempat saudara berbaring atau dimanapun saudara berada, kuasa Tuhan Yesus sanggup menjamah saudara dan memberikan mujizat kesembuhan. Apakah saudara percaya? Bagaimanakah wujud iman saudara? Bila saudara percaya dengan sungguh bahwa saudara akan menerima kesembuhan dari Tuhan Yesus maka kesembuhan itu akan Tuhan berikan. Berdoalah kepada Tuhan Yesus saat ini dengan sederhana dari hati saudara. Dan mintalah kesembuhan dari Tuhan. Percayalah kesembuhan itu sudah saudara terima saat ini juga. Tuhan Yesus akan menolong saudara karena Ia adalah Tuhan yang mempedulikan saudara. Ia peduli akan kesusahan dan penyakit kita, dan Ia mau agar kita hidup dalam kelimpahan kesehatan kesembuhan dan berkat sorgawi. Oleh bilur-bilur-Nya, kita telah menjadi sembuh. Haleluya, Tuhan memberkati. Puluhan tahun lalu, seorang wanita miskin dari Irlandia menemui seorang pendeta di Boston Amerika Serikat. Ia ingin memberikan sumbangan dan meminta agar pendeta itu dapat meneruskan sumbangannya untuk orang-orang yang menderita kelaparan di Irlandia. Pendeta tersebut mengatakan bahwa sumbangannya terlalu banyak jika dibandingkan dengan penghasilannya mengingat kondisinya yang miskin, tapi wanita itu bersikeras untuk memberikan sumbangan tersebut. Ia akan merasa lega bila mengetahui sumbangannya tiba pada tujuannya, dan akan merasa senang mengetahui bahwa ada orang-orang miskin yang tertolong oleh karena sumbangannya. Pendidikan merupakan suatu hal yang penting bagi setiap orang dan perlu diberikan sejak usia dini. Alkitab pun memberikan arahan bagaimana setiap orang tua harus mendidik anak-anak mereka sejak dari kecil. Di jaman modern sekarang ini, banyak orang tua yang salah dalam mendidik anak-anak karena kurang mengerti akan kebutuhan pendidikan yang diperlukan oleh anak-anak mereka. Hal ini diperburuk dengan makin banyaknya lembaga pendidikan yang menyasar anak-anak, baik batita, balita, maupun usia pertumbuhan di atasnya, yang menawarkan berbagai pendidikan ini dan itu kepada orangtua bagi anak-anaknya. Umumnya, orang menganggap semakin pintar anak mereka dalam hal bahasa (Inggris, mandarin atau bahasa lainnya) semakin membanggakan orangtua. Selain itu, anak didorong bahkan cenderung dipaksa untuk pelajaran-pelajaran yang belum tentu disukai dan tidak sesuai dengan bakatnya. Misalnya anak dipaksa untuk belajar berbagai metode hitung cepat matematika, belajar fisika, dan sebagainya, dengan asumsi bahwa semakin anak pintar dalam hal tersebut maka semakin bagus buatnya. Padahal pelajaran-pelajaran tersebut tidak harus selalu menjadi pelajaran utama bagi anak-anak karena berdasarkan pengalaman dan survey terhadap kehidupan dan masa depan berbagai orang yang sukses dalam hidupnya, berbagai macam mata pelajaran itu sebagian besar tidak dipakai atau bahkan tidak berguna sama sekali dalam karir dan kehidupan mereka. Pendidikan apa dan bagaimana yang sebenarnya dibutuhkan oleh anak-anak ? Berikut ini adalah bidang pendidikan yang dibutuhkan oleh anak-anak. Alkitab berkata bahwa “Takut akan Tuhan itulah hikmat.” Jadi, hikmat atau pengetahuan yang utama yang harus dikenalkan kepada anak-anak adalah pengenalan akan Tuhan. Anak-anak harus diberikan dasar-dasar iman sejak dari kecil agar mereka tidak melenceng dari firman Tuhan sehingga kehidupan mereka senantiasa berbahagia serta diberkati. Orangtua menjadi pihak yang sangat penting peranannya dalam hal ini. Setiap hari ajaklah anak untuk berdoa ketika bangun pagi, saat mau tidur, makan atau hendak bepergian. Begitu pula bila ada hal-hal khusus, seperti ulang tahun, atau ada yang sakit, atau ada kebutuhan tertentu, ajaklah anak untuk bersama-sama mendoakan hal tersebut. Dengan cara demikian, sebenarnya anak sedang dididik untuk selalu bergantung kepada Tuhan serta mengandalkan Tuhan dalam segala sesuatu. Ini merupakan perkara rohani yang penting. 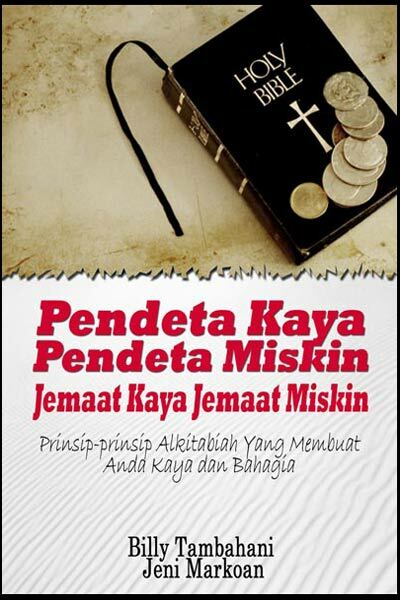 Hal berikutnya yang dapat dilakukan adalah dengan menceritakan kisah-kisah dalam Alkitab dan ajaran tentang keselamatan serta kehidupan kekal di dalam Tuhan Yesus Kristus. Orangtua bisa membacakan beberapa ayat dalam satu perikop atau memvariasikannya dengan kupasan atau ulasan singkat setelah membaca ayat Alkitab. Ajarlah anak untuk setia beribadah di gereja dan dorong serta motivasi anak untuk mengikuti kegiatan sekolah minggu dengan setia. Berikan teladan dalam berkata-kata yang sopan serta berperilaku yang baik sebab anak akan mencontoh sikap dan tindakan orang tua lebih daripada perkataannya. Teladan orangtua yang baik lebih diingat daripada perkataan. Ajak anak untuk bersimpati dan berempati kepada sesama dengan cara mengajak anak berkunjung kepada orang-orang yang miskin dan membutuhkan, berikan bantuan dan beri kesempatan kepada anak untuk melakukannya, agar muncul jiwa yang berbelas kasihan kepada sesama. Ajarlah anak untuk menghafalkan satu atau dua ayat bersama-sama dan ujilah hafalan tersebut bersama dengan orangtua. Untuk perkembangan intelegensia anak atau daya kognitifnya, anak perlu mengikuti kegiatan pendidikan formal seperti TK, SD hingga perguruan tinggi. Namun, orangtua perlu mengerti akan minat dan bakat anak supaya anak tidak terlalu dipaksa untuk belajar pelajaran-pelajaran tertentu secara berlebihan. Tidak perlu bersekolah di sekolah yang mahal, yang penting berkualitas baik. Kualitas tidak selalu berhubungan dengan banyaknya PR (Pekerjaan Rumah), banyaknya ulangan harian, atau ulangan-ulangan lainnya. Perhatikan bahwa anak sebenarnya butuh bermain dan umumnya pola yang perlu diterapkan dalam pembelajaran adalah “Belajar sambil Bermain” atau “Belajar melalui permainan”, terlebih khusus bagi anak-anak dalam usia dini atau hingga sekolah dasar. Jangan mengintimidasi anak dalam belajar sebab hal ini akan menghambat perkembangan otaknya. Biarkan anak belajar secara rileks dan bantulah mereka untuk mengerti setiap pelajaran. Upayakan agar mereka memahami apa maksudnya, supaya lebih masuk ke dalam otaknya, karena bila hanya sekedar menghafal tanpa mengerti, cenderung akan cepat lupa dan anak tidak tahu apa maksud dari hal atau pelajaran yang sedang dipelajari. Banyak orangtua lupa bahwa anak tidak selalu berbakat dalam mata pelajaran di sekolah. Akibatnya, banyak anak dimarahin bila tidak bisa matematika, bahasa Inggris atau lainnya. Bila dimotivasi dan dididik secara benar tanpa intimidasi, anak pasti akan bisa menguasai matematika meskipun nilainya tidak sempurna. Pendidikan formal perlu, namun ingat bahwa anak butuh juga pendidikan non formal untuk perkembangan intuisi mereka. Orangtua bisa memberikan pendidikan di bidang musik misalnya, dengan cara memberikan les atau mengajarnya langsung secara pribadi. Belilah alat musik yang sesuai dengan minat anak atau cita-citanya. Mungkin anak anda senang melukis atau menggambar, mendesain atau olahraga. Motivasi mereka dan berikan pujian agar anak memiliki kepercayaan diri yang baik. Ada banyak macam pendidikan non formal yang bisa diberikan bagi anak, yang penting perlu diatur agar anak tidak kecapean dan tidak membuat anak menjadi murung akibat banyaknya kegiatan pendidikan yang harus dijalaninya. Orangtua perlu memberikan perhatian dan meluangkan waktu untuk anak dalam bermain dan belajar. Buatlah suasana yang senang dan bahagia bagi anak dalam keluarga. Tegurlah anak bila berbuat salah agar mereka mengerti hal yang patut dan benar serta hal yang salah dan tidak baik. Mendisiplin anak dengan hukuman tertentu dalam batas-batas yang baik perlu sekali-kali dilakukan. Apabila orangtua menegur dan memarahi anak, kemudian anak menjadi sedih dan menangis, biarkan dulu hal tersebut, dan berikan wejangan serta nasihat agar anak mengerti. Beberapa waktu kemudian, peluklah anak dan katakan bahwa anda menyayanginya serta tidak bermaksud jahat tetapi hendak mengajarnya agar ia menjadi baik dan selalu dalam berkat Tuhan. Setiap hari katakanlah anda menyayangi anak anda, dan biarkan dia tahu bahwa anda benar-benar menyayanginya. Pesawat Malaysian Airlines MH-370 tujuan Beijing dari Malaysia menghilang dan diperkirakan jatuh di samudera Hindia. Peristiwa ini terjadi tanggal 8 Maret 2014 dan menjadi sorotan dunia internasional. Jumlah penumpang sebanyak lebih dari 200 orang tidak diketahui keberadaannya. Keluarga-keluarga korban mencari kejelasan dari pemerintah Malaysia mengenai nasib sanak saudara mereka yang menjadi penumpang pesawat tersebut. Pencarian pesawat MH-370 menjadi pencarian besar-besaran di dunia dan memecahkan rekor pencarian selama ini karena melibatkan banyak negara dan memakan biaya hingga 1 trilyun. Meskipun belum ditemukan sampai saat ini, proses pencarian masih berlangsung dan belum diketahui kapan akan dihentikan. Tujuan pencarian adalah untuk menemukan badan pesawat dan juga para penumpangnya. Peristiwa ini benar-benar menghenyakkan kesadaran rohani kita, apabila ditarik pelajaran secara rohani. Kita harusnya mengerahkan segala upaya dan harta yang dimiliki untuk mencari jiwa-jiwa tersesat yang sedang menuju kepada kebinasaan. Ada “sinyal-sinyal kotak hitam” dari setiap orang yang menyatakan bahwa mereka perlu kabar keselamatan dari kita. Mereka perlu ditolong, dijangkau dan diberikan berita baik tentang keselamatan di dalam Tuhan Yesus Kristus. Ladang dunia ini telah menguning, jiwa-jiwa siap untuk dituai bagi kerajaan Sorga. Lakukanlah tugas yang mulia dari Tuhan, yaitu menuai jiwa-jiwa. Sadarlah bahwa tuaian begitu banyak tapi pekerja sangat sedikit. Jadilah pekerja yang sungguh-sungguh bekerja di ladang Tuhan dengan tujuan melakukan kehendak Bapa, bukan untuk melakukan kehendak pribadi atau manusia. Kita semua adalah pekerja-pekerja di ladangnya Tuhan, oleh karena itu tunaikanlah tugas dan tanggung jawab pelayanan ini. “Apabila kamu mengasihi orang yang mengasihi kamu, apakah upahmu? Bukankah pemungut cukai juga berbuat demikian? Dan apabila kamu hanya memberi salam kepada saudara-saudaramu saja, apakah lebihnya dari pada perbuatan orang lain? Bukankah orang yang tidak mengenal Allah pun berbuat demikian? Kesempurnaan seperti Bapa yang dikatakan oleh Tuhan Yesus dalam ayat ini, berkaitan dengan kasih kepada sesama. Hal ini merupakan perkara yang sangat penting karena setiap orang beriman harus memiliki salah satu buah roh yaitu kasih, dan ini bukanlah kasih yang biasa-biasa tetapi kasih yang sempurna sebagaimana yang Yesus katakan. Bagaimanakah wujud dari kesempurnaan dalam kasih itu? 1. Mengasihi Orang Yang Membenci kita. 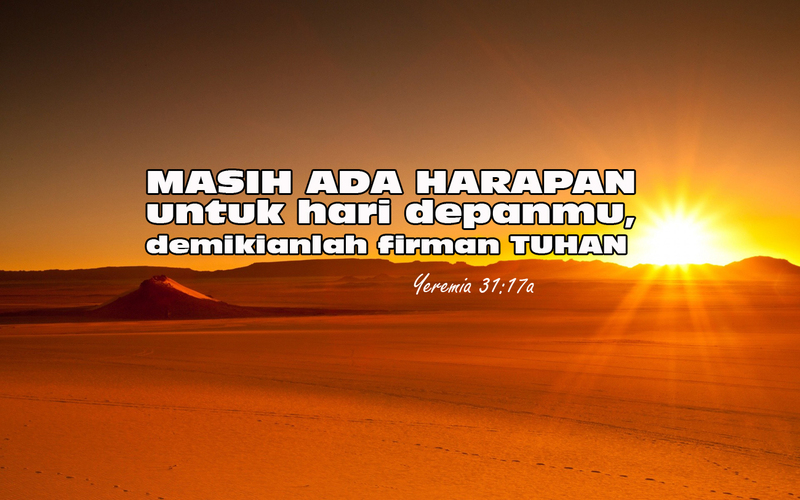 Tuhan Yesus berkata: “Kasihilah musuhmu!” (ayat 44). Ini merupakan perintah untuk memanifestasikan kasih agape dalam hidup kita, sebuah kasih yang sempurna dan tak bersyarat, “Unconditional love”. Mengasihi orang yang juga mengasihi kita adalah hal biasa, tapi mengasihi musuh merupakan kasih yang levelnya paling tinggi. Tuhan Yesus memberikan teladan itu ketika di atas salib Ia berkata: “Ya Bapa, ampunilah mereka sebab mereka tidak tahu apa yang mereka perbuat.” Kejahatan jangan dibalas dengan kejahatan, tetapi balaslah kejahatan dengan kebaikan, demikian kata Tuhan Yesus. 2. Mendoakan Orang Yang Memusuhi Kita. Mendoakan musuh merupakan wujud dari hati yang mengasihi. Kita mendoakan agar Tuhan mengampuni dan menolong serta memberkati orang-orang yang memusuhi kita, bahkan orang yang menganiaya kita. Doa yang dinaikkan bukanlah doa kutuk sebab Tuhan memerintahkan kita untuk tidak mengutuk melainkan memberkati. Allah telah menunjukkan kasih yang sempurna itu kepada kita manusia yang berdosa. Kita diampuni dan dikuduskanNya dengan darahNya sendiri yang Ia korbankan di atas salib. Firman Allah telah menjelma menjadi manusia daging yang tak berdosa. 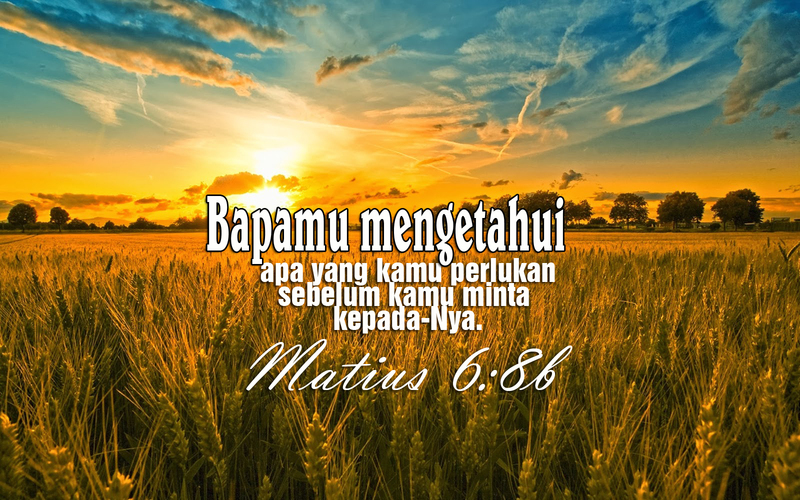 Yesus Kristus namaNya dan Dialah wujud nyata dari kasih Allah yang besar kepada kita. DarahNya tercurah bagi pengampunan seluruh umat manusia. PengorbananNya hanya sekali untuk selamanya untuk kita. Ia tidak membalas hinaan dan aniaya dengan kutuk tetapi Ia mengampuni. Malam ini adalah malam dimana kita mengingat akan malam sebelum Tuhan Yesus disalib. Ia telah rela menjadi kutuk karena dosa kita. Orang-orang mengira Ia kena kutuk padahal dosa kitalah yang ditanggung olehNya. Berbahagialah orang yang diampuni kesalahan-kesalahannya dan yang pelanggaran-pelanggarannya ditutupi. Saudara dan saya, kita semua termasuk orang yang berbahagia itu. Marilah kita mengasihi sebagaimana Allah telah menunjukkan kasih-Nya kepada kita. Di Lobukpining, 18 km dari Tarutung arah ke Sibolga, Sumatera Utara, terdapat sebuah tugu peringatan mengenai Misionaris Layman dan Munson yang mati di tempat itu pada tahun 1834. Menurut buku yang diterbitkan di Jerman, misionaris itu dibunuh karena mereka secara tidak sengaja menyebabkan kematian ipar kepala kampung dengan suatu tembakan saat sedang berburu rusa. Dalam tugu itu pernah ditulis kata-kata ini: “Ermordet und aufgegessen” atau “dibunuh dan dimakan”, tapi kemudian tulisan itu diubah dengan: “The blood of the Martyr is the seed of religion” (darah martir menjadi bibit dari agama) yang dituliskan oleh orang Indonesia pada tahun 1940. Kematian kedua orang misionaris itu tidak menutup perkembangan Injil, karena setelah Layman dan Munson dibunuh, datanglah gelombang misionaris lainnya ke tempat itu. Nomensen yang mendengar berita kematian itu bertekad datang ke Sumatera, dan oleh pengabdiannya bertahun-tahun lamanya, ia dapat memenangkan Sumatera Utara bagi Yesus Kristus, sehingga ia pun dinamakan sebagai “Rasul Tanah Batak”. Pada waktu itu mata orang-orang buta akan dicelikkan, dan telinga orang-orang tuli akan dibuka. orang buta melihat, orang lumpuh berjalan, orang kusta menjadi tahir, orang tuli mendengar, orang mati dibangkitkan dan kepada orang miskin diberitakan kabar baik. Di dalam setiap masa sejarah, orang-orang yang dapat melakukan mujizat-mujizat yang benar-benar sempurna, merupakan suatu hal yang luar biasa. Dalam sejarah mereka yang panjang, bangsa Israel melihat banyak orang yang melakukan perbuatan-perbuatan ajaib, walaupun bukan semuanya berasal dari Allah (ingat: tukang sihir Mesir pun melakukan sesuatu yang ajaib namun tidak sempurna karena bukan berasal dari Allah). Akan tetapi, selama empat ratus tahun, ketika para nabi tidak lagi berbicara kepada bangsa itu, perbuatan-perbuatan ajaib demikian tidak ada lagi dan orang-orang mengalami masa-masa sukar. Pada saat Yohanes Pembaptis dikurung dalam penjara Herodes, karena ia telah mencela Herodes yang menikahi istri saudaranya sendiri, ia selalu memikirkan semua nubuat yang harus digenapi Mesias apabila Ia datang. Yohanes tahu bahwa Mesias datang untuk menyucikan hati bangsa-Nya dan untuk membinasakan orang-orang yang menindas dan yang menganiaya bangsa pilihan Allah. Tetapi ia juga tahu bahwa Mesias harus menderita untuk menebus dosa bangsa Israel dan juga untuk menebus dosa semua umat manusia, sebab sebelumnya Yohanes sendiri telah berkata tentang Yesus, “Lihatlah Anak Domba Allah, yang telah menghapus dosa manusia” (Yohanes 1:29). Tetapi ketika Yohanes dipenjarakan dan ia ingin melihat bagaimana Yesus dapat menggenapi kedua peranan itu, ia memutuskan untuk mengutus murid-muridnya untuk bertanya kepada Yesus siapakah Dia itu sesungguhnya. Lalu beberapa orang dari murid Yohanes pergi kepada Yesus dan bertanya: “Engkaukah yang Akan Datang itu atau haruskah kami menantikan orang lain?” Yesus menjawab mereka : “Pergilah dan katakanlah kepada Yohanes apa yang kamu dengar dan kamu lihat: ORANG BUTA MELIHAT, ORANG LUMPUH BERJALAN, ORANG KUSTA MENJADI TAHIR, ORANG TULI MENDENGAR, ORANG MATI DIBANGKITKAN, dan KEPADA ORANG MISKIN DIBERITAKAN KABAR BAIK. Dan berbahagialah orang yang tidak menjadi kecewa dan menolak Aku.” (Matius 11:2-6). Yesus mengerti bahwa Yohanes pasti mengetahui nubuat-nubuat tentang kuasa Mesias dalam melakukan mujizat dan Ia tahu bahwa dengan mengutip nubuat ini kepada Yohanes maka hal ini akan meyakinkan dia tentang diri Yesus yang sesungguhnya. Yesus menunjukkan salah satu bukti keMesiasan-Nya, yaitu kuasa untuk melakukan mujizat-mujizat yang luar biasa itu dan hal tersebut cukup merupakan bukti bagi Yohanes untuk teguh percaya bahwa Yesus lah Mesias yang dijanjikan dan dinubuatkan oleh para nabi dahulu kala.